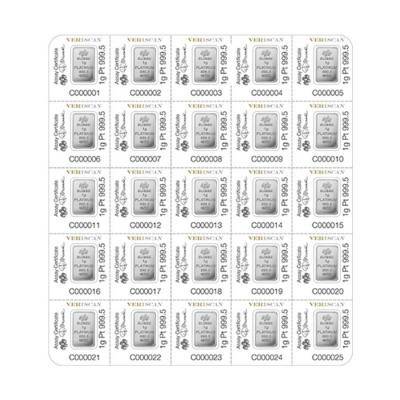 PAMP Platinum Lady Fortuna bars are one of the most popular bullion on the market today because of its affordable size and the high quality. 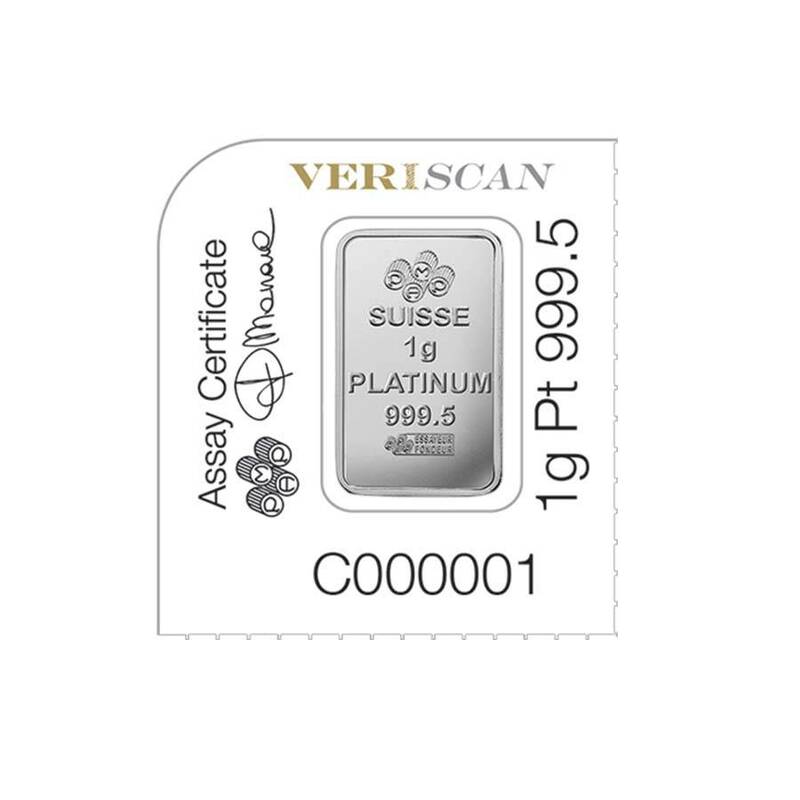 This 1 gram bar from an original Multigram +25 and housed in a mini PAMP Suisse Assay card, which verifies bar’s weight and purity. The PAMP Suisse (Produit Artistiques Metaux Precieux) is the world’s leading independent Precious Metals refiner and one of the most trusted mints worldwide today. The front side of the bar features an artistic rendition of “Lady Fortuna,” the Roman goddess of fate and fortune, commonly known as “Lady Luck”. This image depicts her as a blindfolded deity holding a cornucopia filled with coins. The back side of the bar is emblazoned with the PAMP Suisse logo at the top. It also displays all bar’s vital statistics including weight, purity, and a unique serial number. The “Essayeur Fonduer” insignia, which is featured underneath the text, serves as an engraved assay to verify this information. 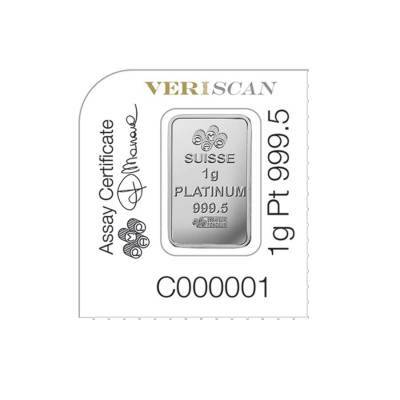 Made from .9995 fine platinum with a weight of 1 gram. 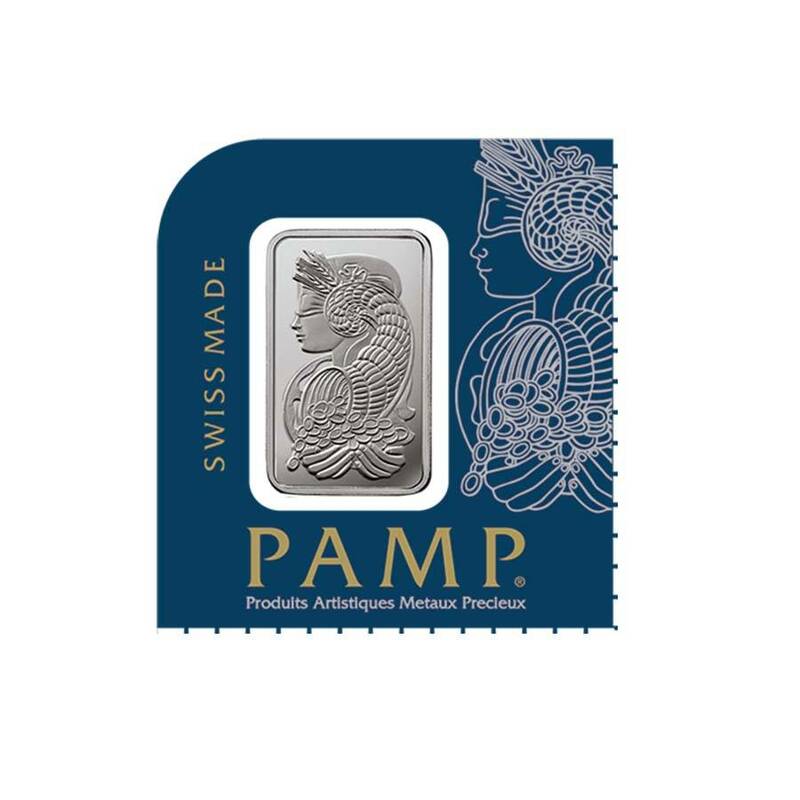 Minted and guaranteed by the PAMP Suisse. 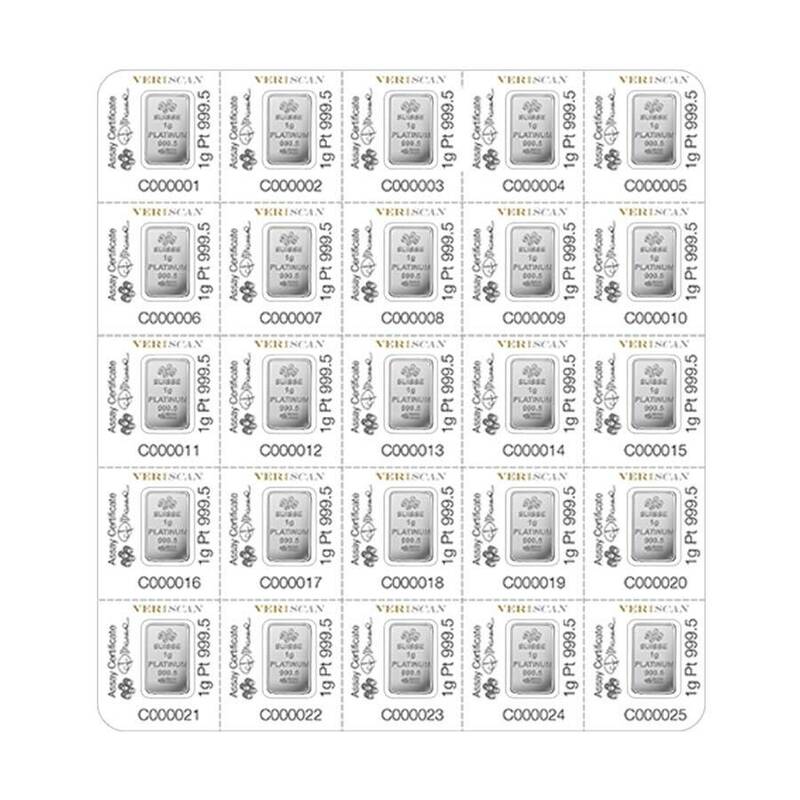 This bar is from an original Multigram +25 set. Comes in a mini Assay card. Obverse: Showcases the well-known design of Lady Fortuna - the Roman goddess of fortune, seen with her attributes - cornucopia of riches. Reverse: Depicts the bar’s weight and purity along with the PAMP Suisse logo. Bullion Exchanges offers you a great selection of exclusive items from renowned international refineries. 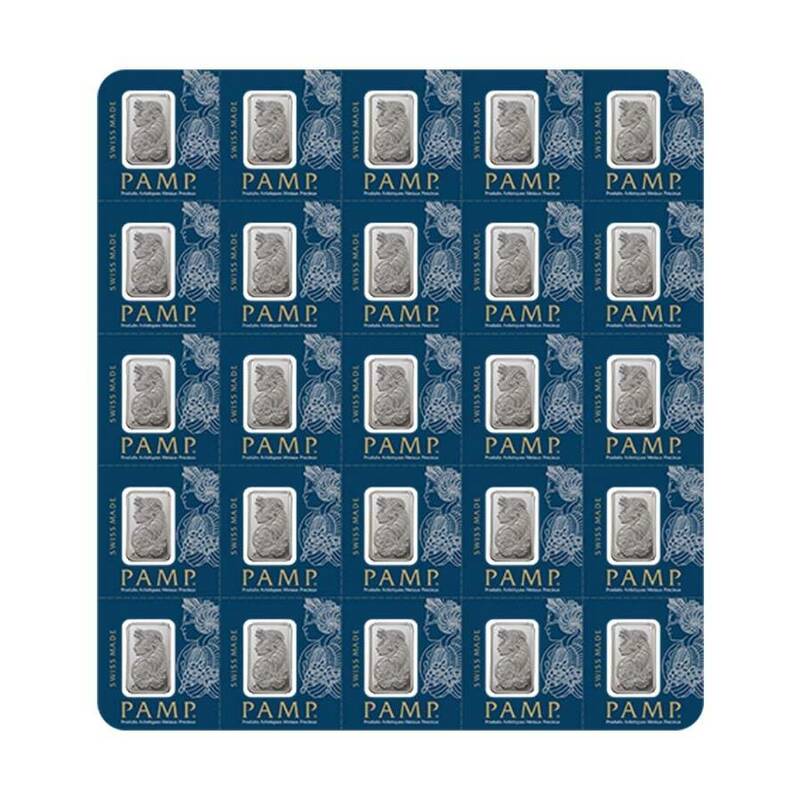 Add this spectacular 1 gram Platinum Bar PAMP Suisse Lady Fortuna .9999 Fine to your collection today, and it will be carefully packaged and delivered it to your address. If you have any questions, just call us at 800.852.6884, or send us a message, our customer service representatives will be happy to assist you. It's a nice addition to my investment. Also, love the design! We currently have 37 of this item in stock.